Getting ready for your first music festival? If you’ve never been camping at a music festival before, it can be quite an overwhelming experience. But never fear! We’ve put together our top festival camping hacks and tips to help you survive your first ever festival experience… And take the ‘roughing it’ out of camping! One of the main challenges of camping at a festival is the sheer amount of stuff you need to take with you. 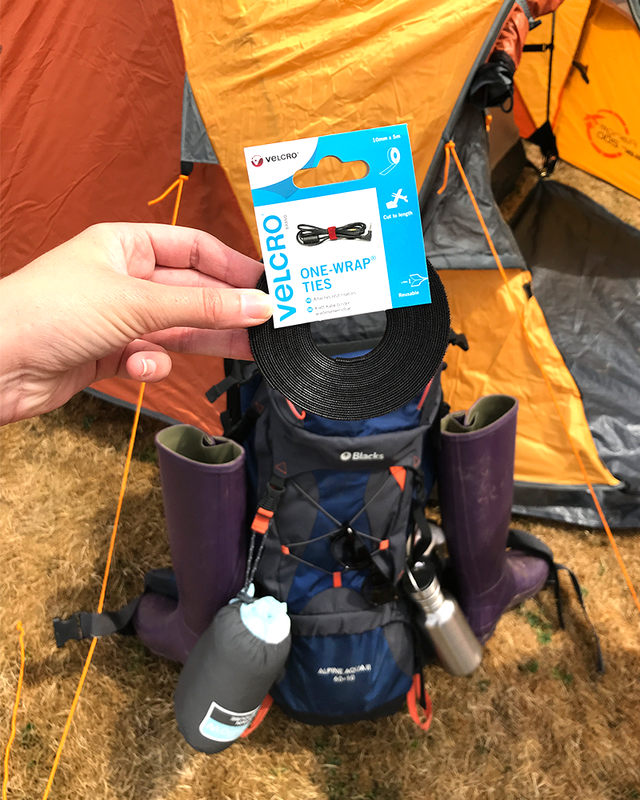 So don’t limit yourself to shoving everything inside your rucksack – you can create extra storage space by hanging bulky items on the outside of your rucksack with these VELCRO® Brand ONE-WRAP® Ties. Don’t underestimate the sheer number of other people that you’ll be camping with. Music festivals literally have seas of tents, which can make it quite the challenge trying to find yours late at night. 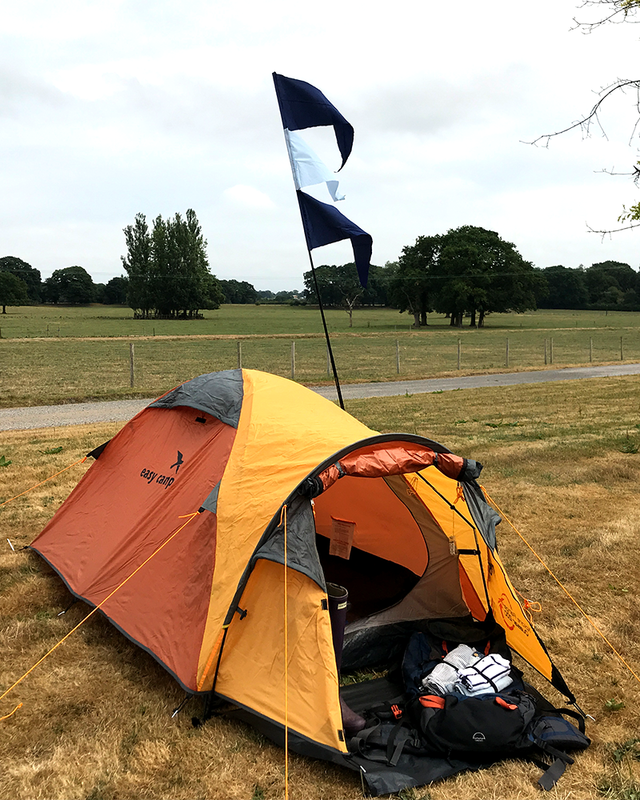 So we’d recommend making an easily recognisable flag that you can stand outside your tent as a marker. It’s super easy to do with this VELCRO® Brand Stick On for Fabrics Tape – check out our step-by-step tutorial here. Can’t decide which clothes to pack? 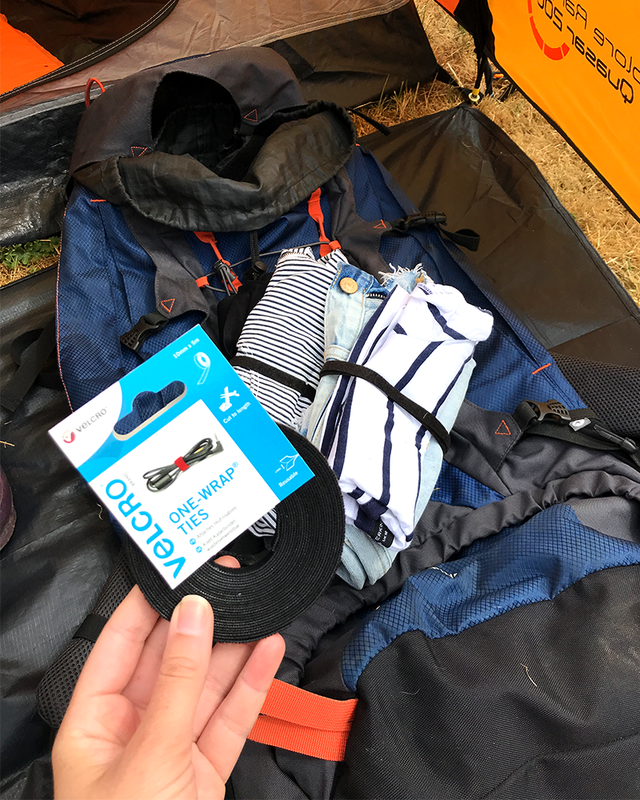 Resist the urge to pack everything and decide when you get there by rolling up outfits for each day with these VELCRO® Brand ONE-WRAP® Ties. This simple festival camping tip will make it much easier to pack (and unpack)! 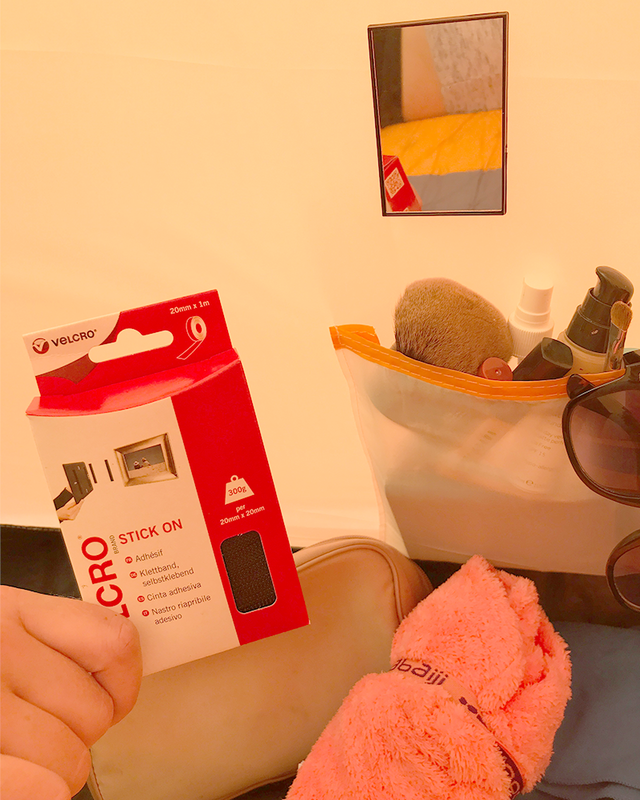 Doing your make-up in a tent can be tricky – but you can make it easier by sticking a portable mirror to the wall of your tent with this VELCRO® Brand Stick On for Fabrics Tape. Your festival tent is your home away from home – and chilling around the campsite is one of the best parts of a festival. 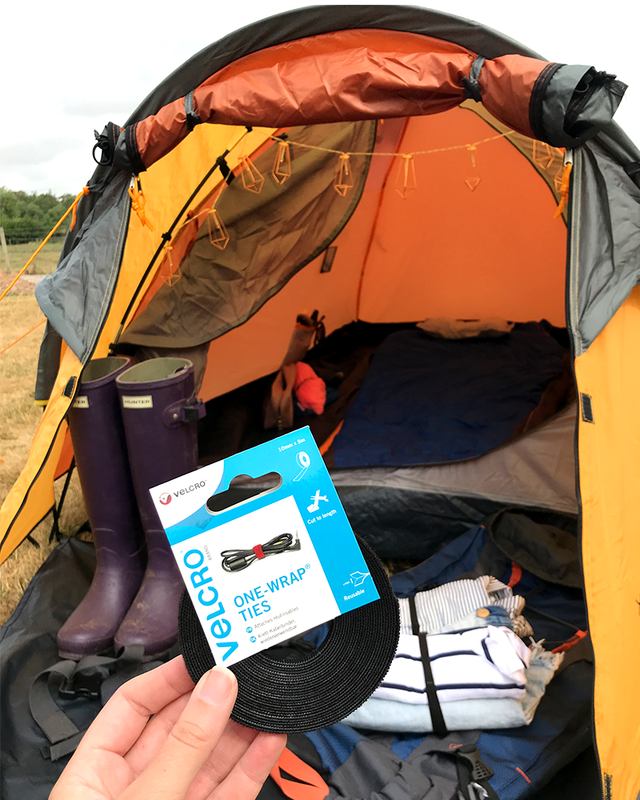 So make it more atmospheric by attaching fairy lights to your tent with these VELCRO Brand ONE-WRAP® Ties. Chances are you won’t want to be without your phone at the festival (even if you’re not texting people, you’ll want it for taking photos and Instagramming!) 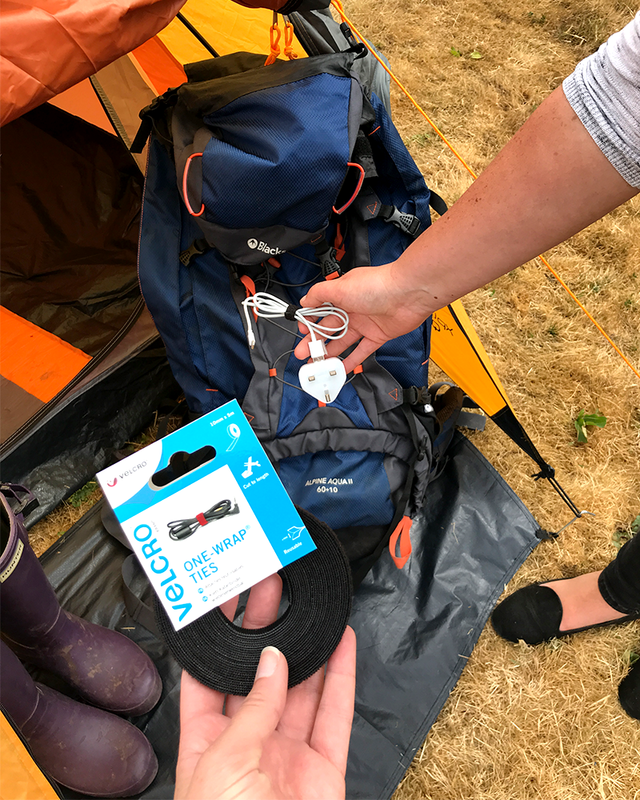 So if you’re taking a portable charger, we’d recommend wrapping up your charger cable with these VELCRO® Brand ONE-WRAP® Ties before you go. Last but not least, make sure everything you take with you is easy to carry! 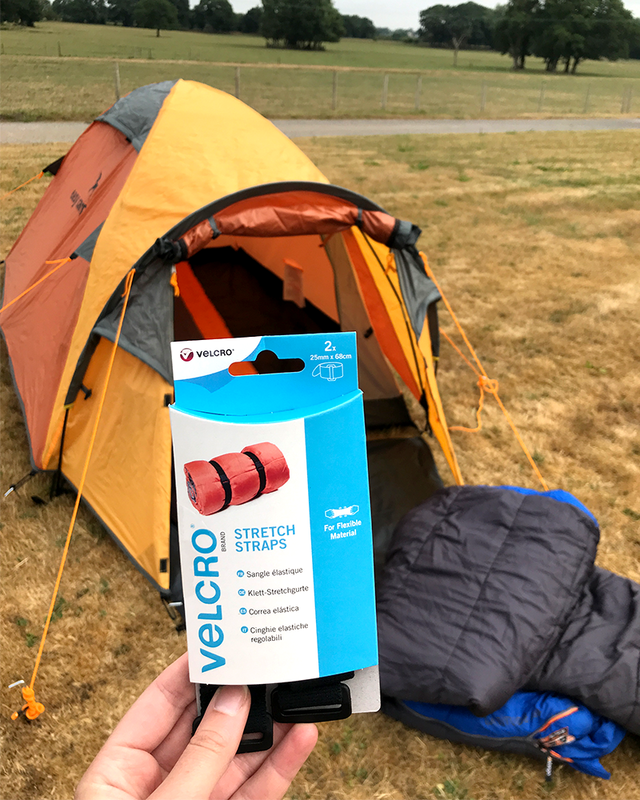 Your sleeping bag and tent are the bulkiest items you’ll need at a festival and you can make them easier to carry by wrapping them up with these VELCRO® Brand Stretch Straps. Not to mention, it’s much easier to roll them up like this than stuff them back into a tiny bag!